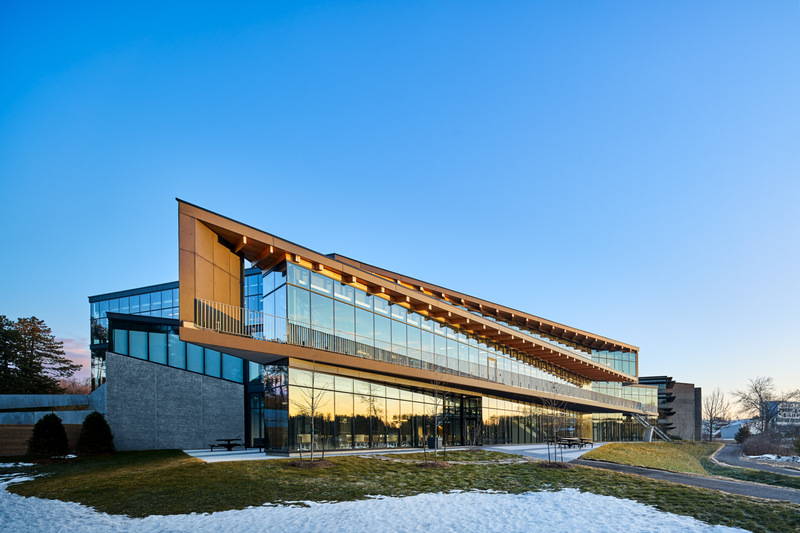 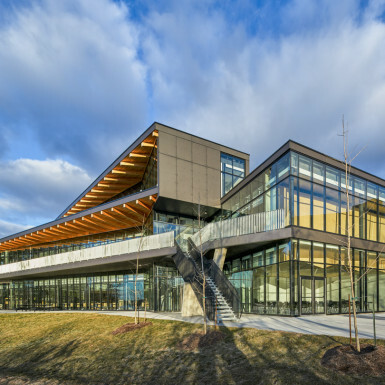 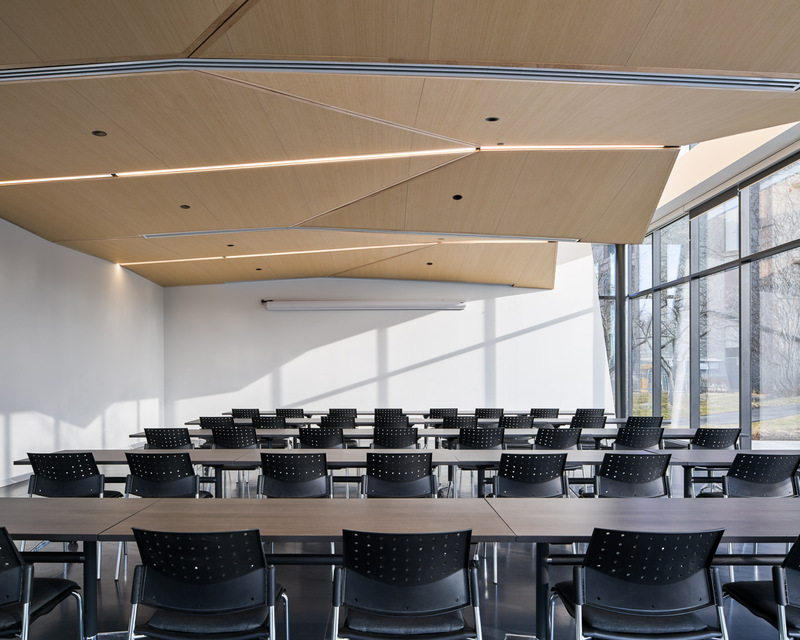 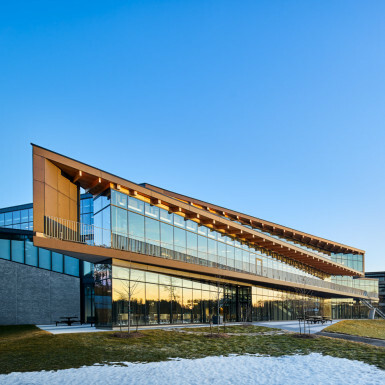 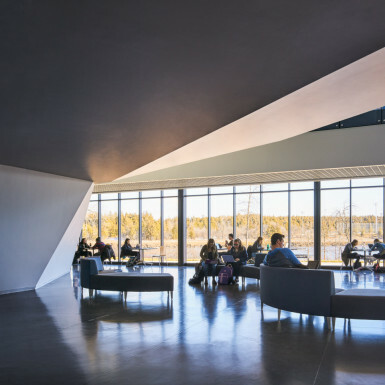 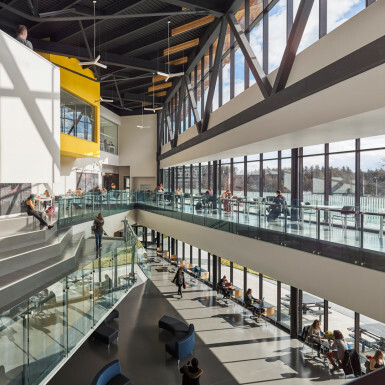 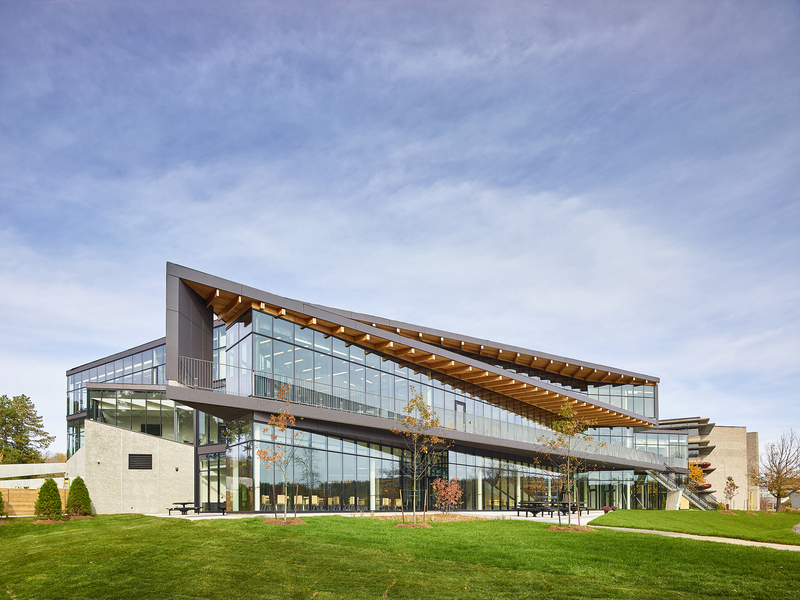 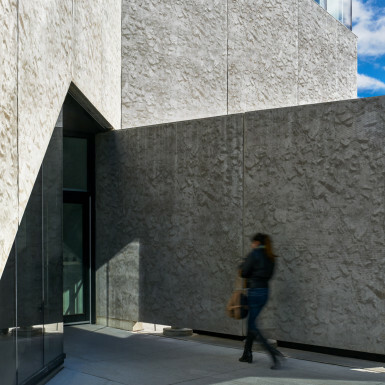 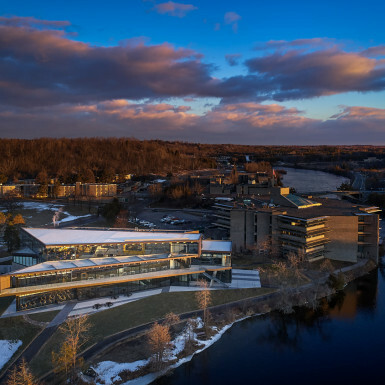 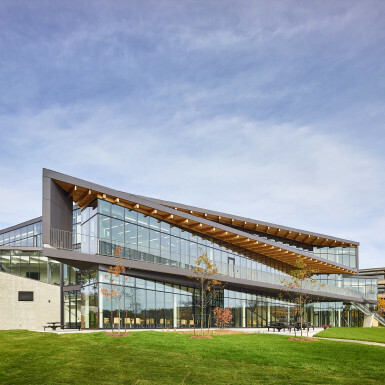 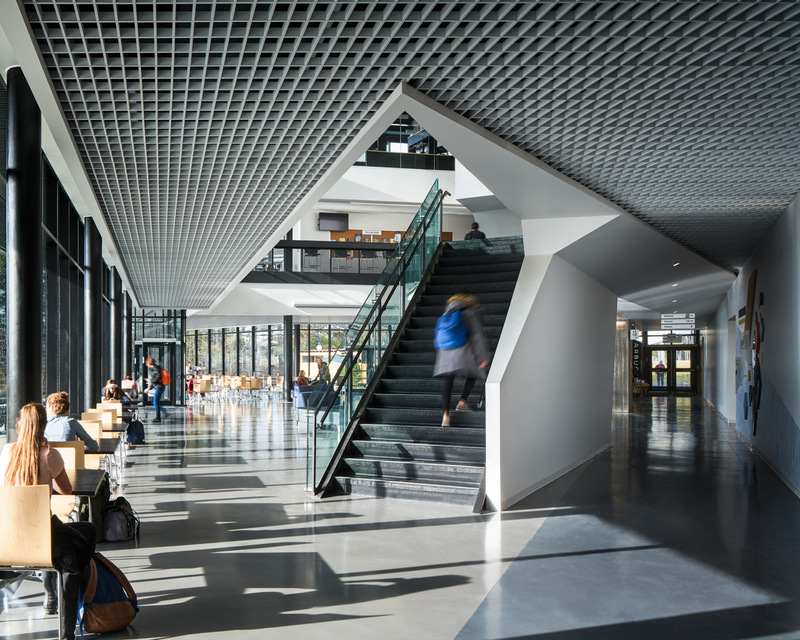 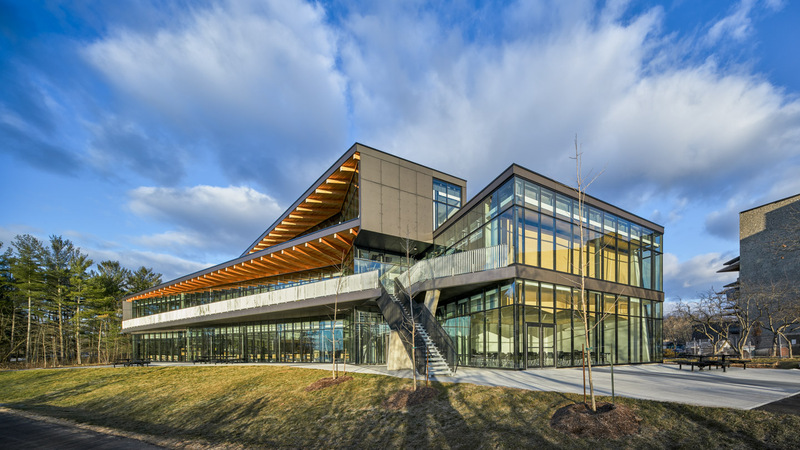 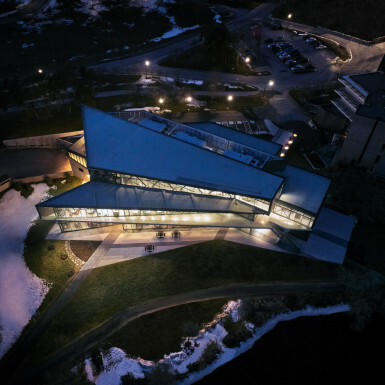 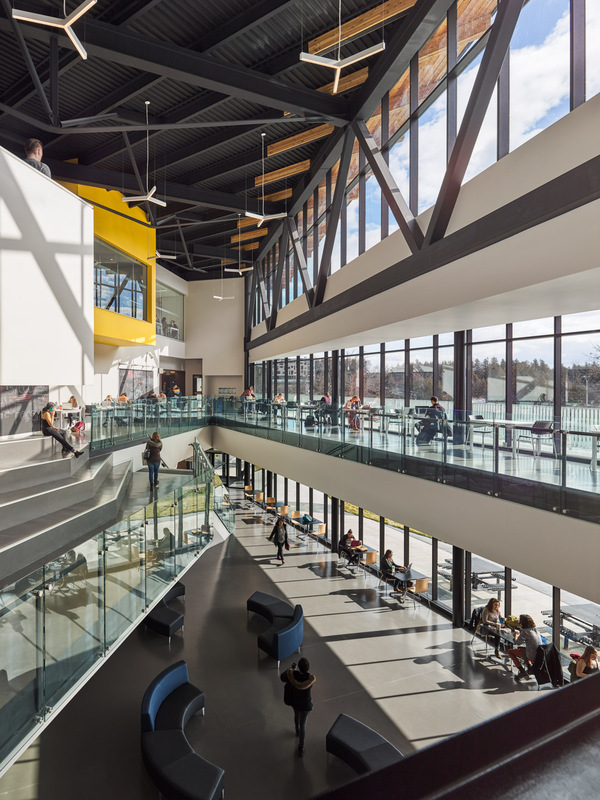 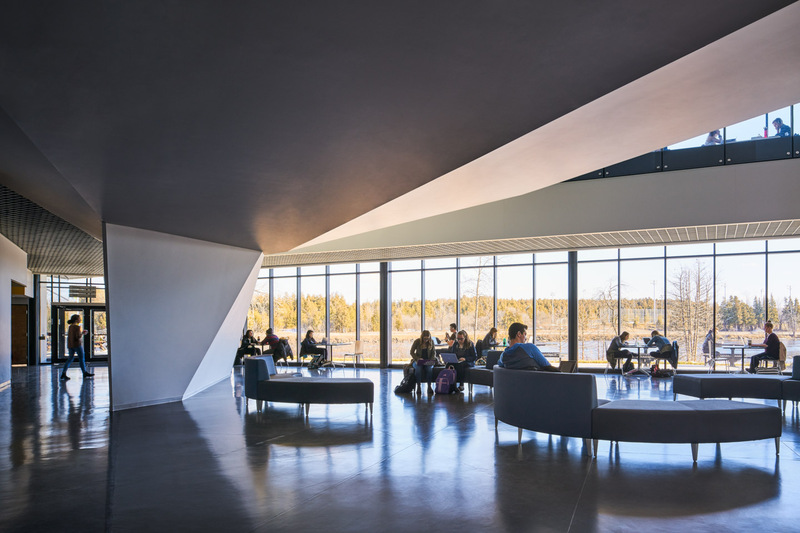 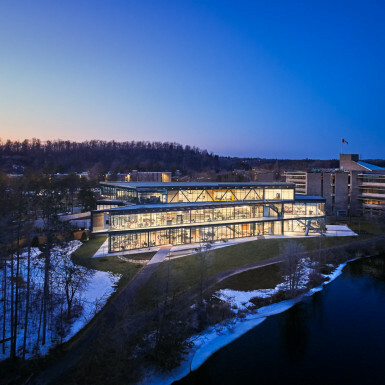 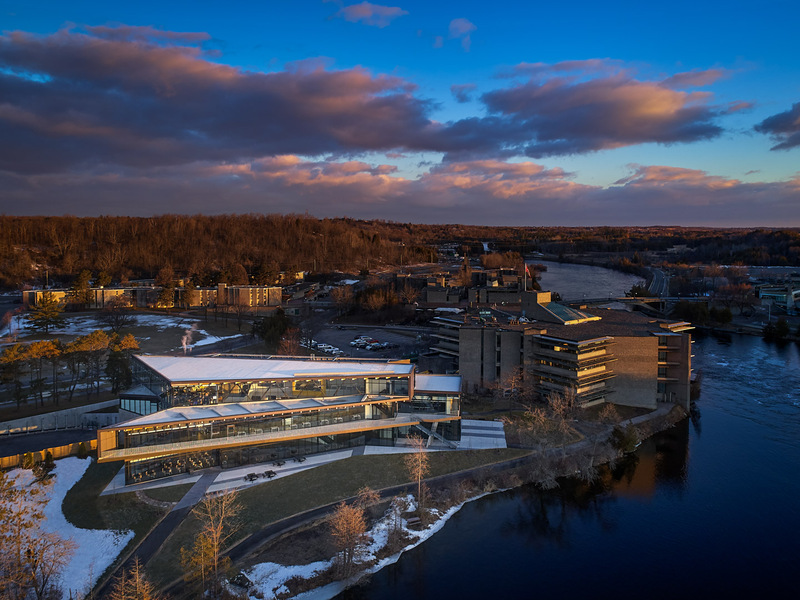 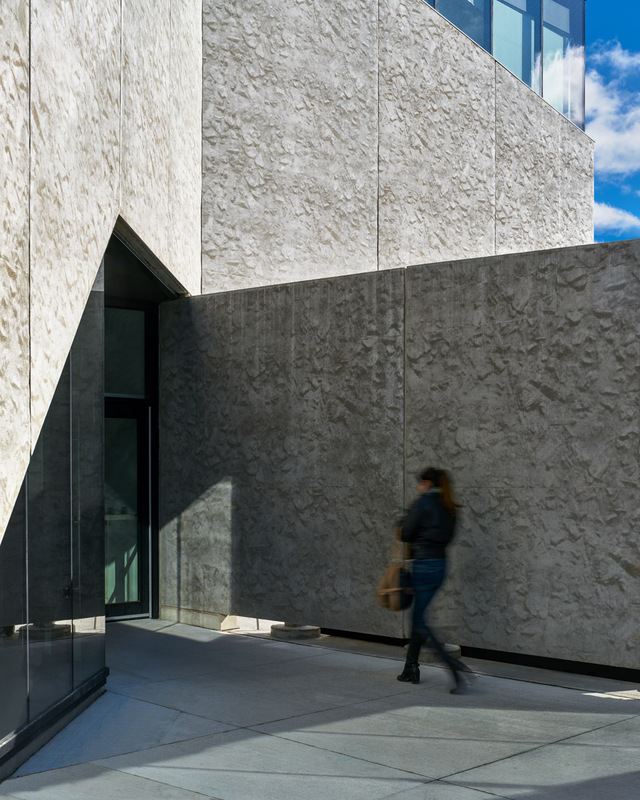 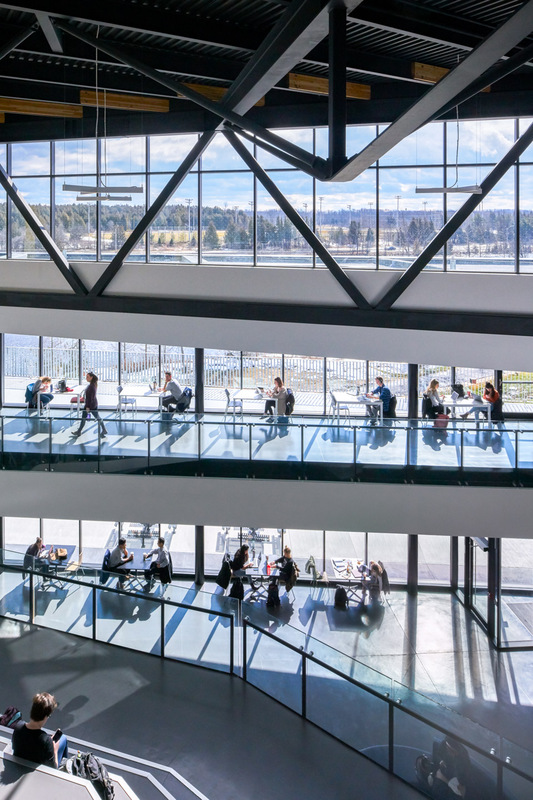 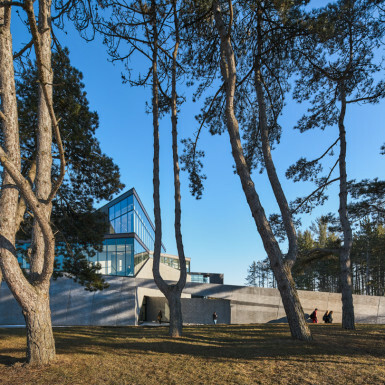 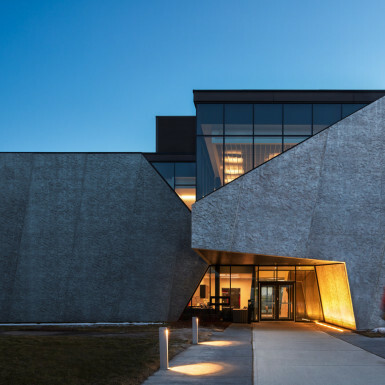 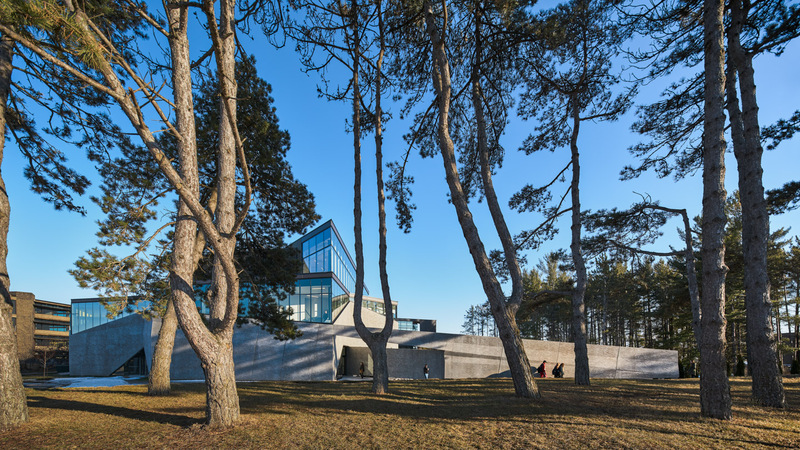 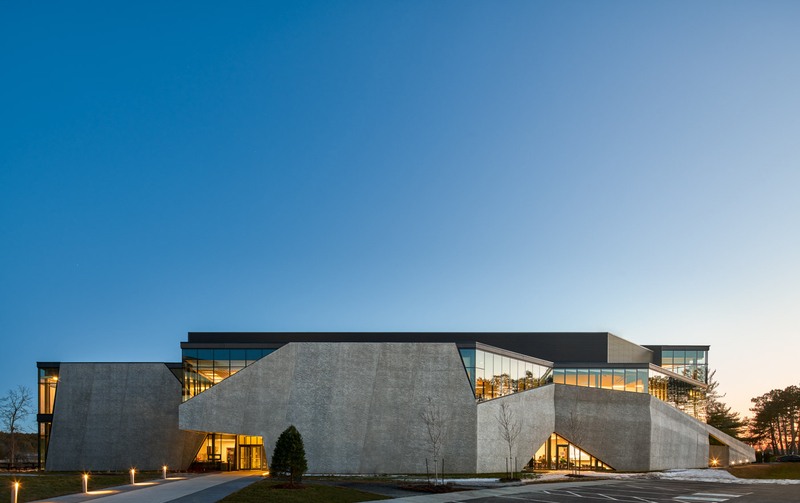 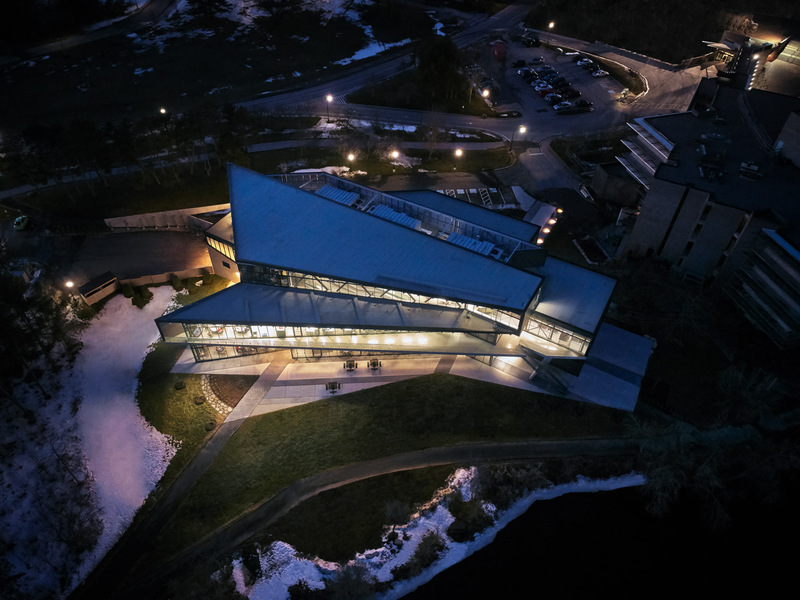 The new Trent University Student Centre was designed to address two key aims: connecting students to the beautiful adjacent river landscape; and connecting students to one another. 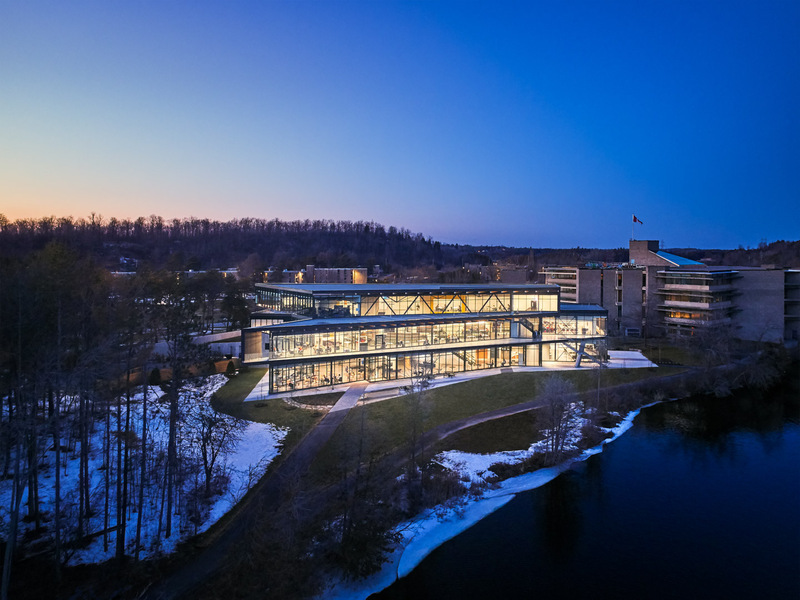 The building’s main entrance directly addresses the bus stop at the principal entry to campus, leading to a picturesque river walk via a new indoor student forum. 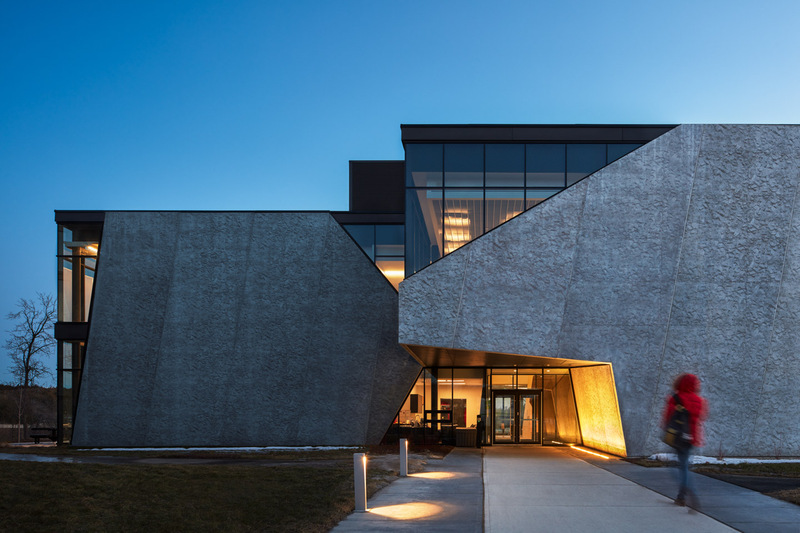 Another entrance connects the pedestrian path along the campus entry road to the river walk. 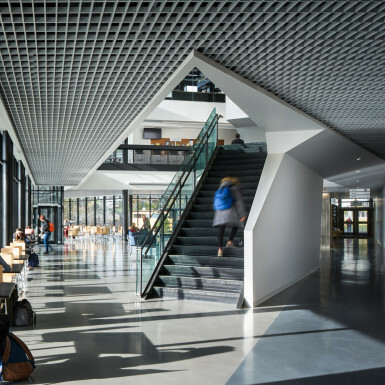 Together these paths form an ‘X’, centred at the focal point of the forum. 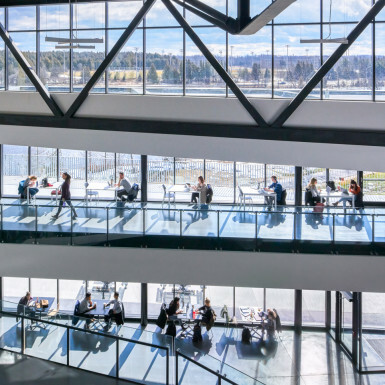 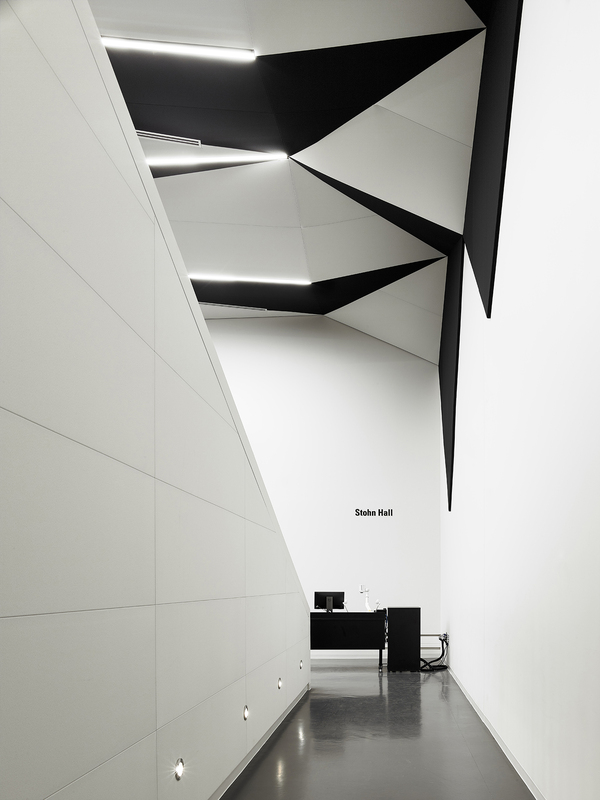 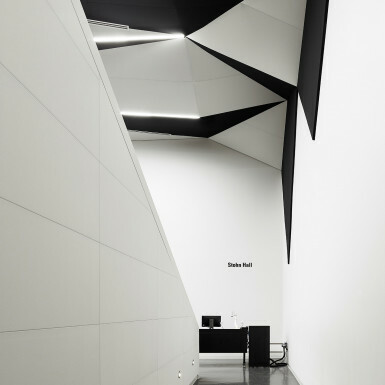 The forum is a multi-height gathering space from which all activities of the building are visible together with a breathtaking panorama of the river. 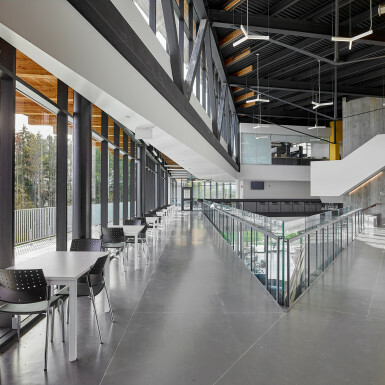 It is an indoor/outdoor space with a patio and upper level terrace. 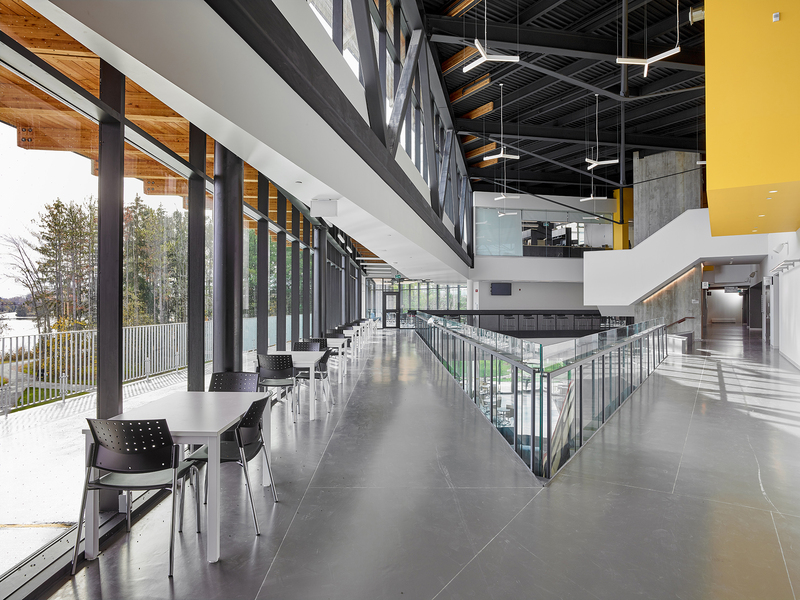 It is served with coffee and snacks and offers a wide variety of study and interaction areas. 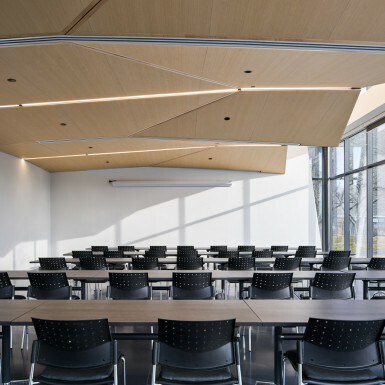 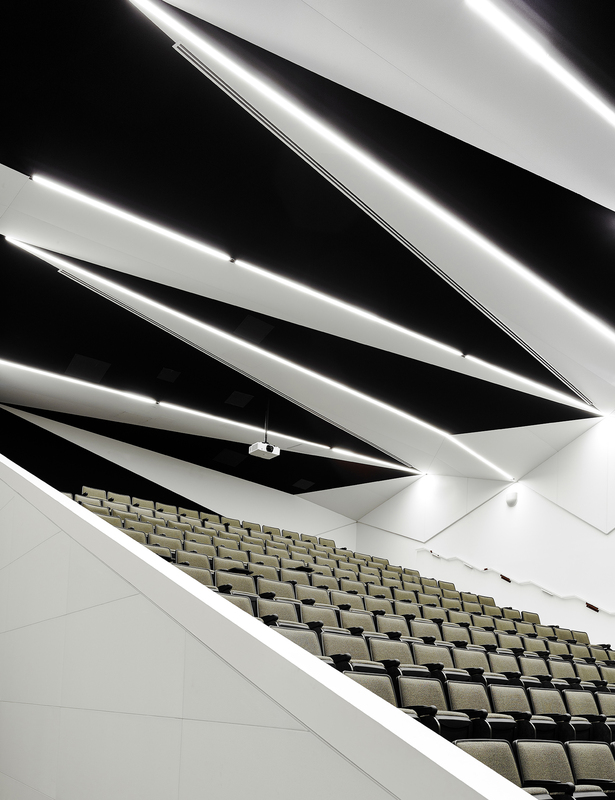 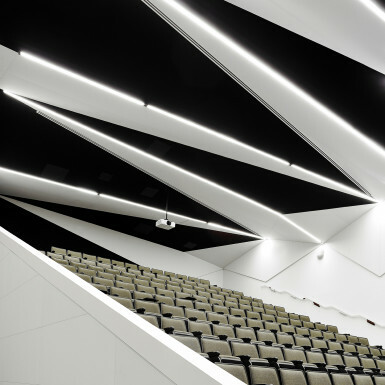 A unique feature of the facility is that it combines both and student centre and teaching and learning facilities, ensuring that it is well used over the course of each day. 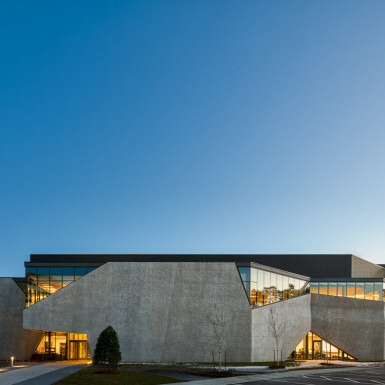 Its unique photo-etched precast concrete exterior finish was created from an image of the original rough aggregate concrete used in the campus’ iconic historic buildings, which, in conjunction with wood roof detailing, serves to connect to the architecture of the original campus.